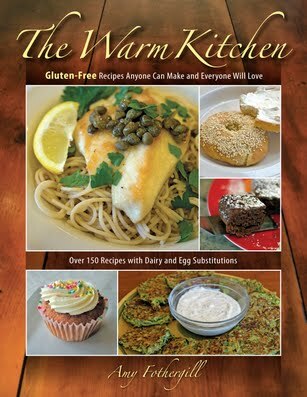 The Warm Kitchen is filled with gluten-free recipes anyone can make and everyone will love. If living gluten-free makes you feel like you are missing out on some of your favorite foods, then this book is for you. A gluten-free cookbook everyone will enjoy! My gluten-free journey started when my daughter was about 13 months old. 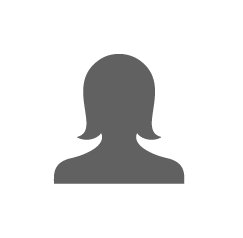 She had developed eczema, something no one in our families had had before. It progressively got worse and she spent many nights, scratching her legs. It is very hard to see your child suffer and feel like nothing is helping. I was extremely frustrated. After trying traditional steroid creams (which were not effective) and testing her for allergies, she was tested for food sensitivities at 20 months old. When this happened in 2007, the available recipes and products were less than appetizing. If I did not like them, how could I expect her to eat them? I knew I had to tackle it head on and teach myself. This journey into a gluten-free lifestyle began about the same time I launched my own business as a cooking instructor/consultant. Six months later, I started incorporating gluten-free into my offerings. Two years later, I decided to try it for myself and found the results positive. A year later, after finding my son had a gluten sensitivity as well, we became a gluten-free household. Now my daughter is on a gluten and dairy free diet only; her eczema is finally under control. My son’s digestion significantly improved along with my own and my husband’s. My observations are that in order to have good results with gluten-free cooking and baking, you still have to apply proper cooking techniques. But at the same time, many people, including myself, are very busy, so complicated recipes are a big turnoff. My recipes are easy, with simple instructions, and produce delicious results. This is why I wrote this cookbook. There’s no greater joy for me than to see people take pleasure in my creations. Since people on a gluten-free diet are often denied good tasting food, seeing their reactions when I serve them my gluten-free madeleines, focaccia, and whole grain bread really makes my day. I truly hope this book will change the way you might feel about gluten-free cooking and baking. It might be a change and a challenge, but it is manageable. Enjoy the recipes, and welcome to the warm kitchen. The cookbook is full of pictures. Lots and lots of step by step pictures. If you are a visual learner, you will be in heaven. Looking for demonstrations, book signings, and events that Amy will be at?